I haven’t done any postcard marketing for a while, although co-incidentally I’ve been looking into it again recently because it works well. 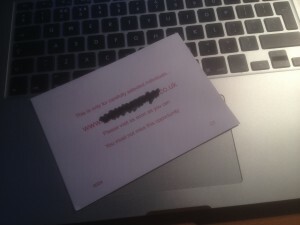 Then by chance the postcard invitation you can see in the pic arrived this morning. It’s for a book by a Brit marketer with various upsets attached. I’ve blanked out the URL not only because I don’t want to give him free publicity but also because I haven’t read the book and it might not be something I’d recommend. What IS interesting was the name they sent it to. Every time I sign up for something in the UK I use a coded alteration to my name so I can track what’s been happening to my personal details. Well this book is from someone I didn’t sign up for, so the person I DID give those details to is obviously selling or renting at least part of his list. Nothing wrong with that as far as I’m aware. But I’ll be keeping an eye out for whatever else they send me. 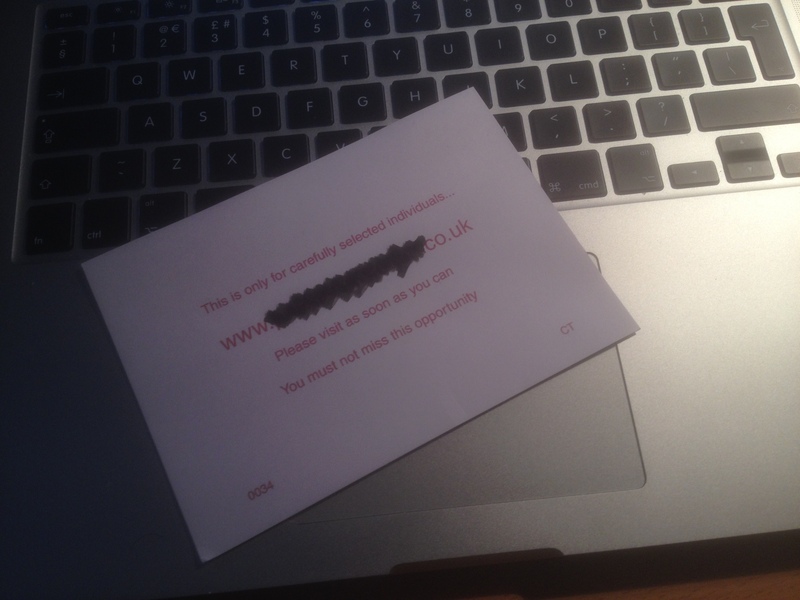 Postcard marketing…seems like a bit of a retro step perhaps? I’m not so sure – I’ve seen more of this year than the previous few combined. One to keep an eye on, especially if you’re a Brit. Just wondering if it is a deliberate decision to only show part of your post in your RSS feed and force us to come to the blog page or you just haven’t altered the default setting? I just find it easier to get the full article in my RSS reader but understand the marketing thoughts.